Milliken Auditorium on the campus of Northwestern Michigan College was packed for a Senate Commerce Committee hearing on Line 5. U.S. Senator Gary Peters grilled panelists for two hours in a packed auditorium at Northwestern Michigan College. Peters asked about the federal response to an anchor strike incident in the Straits of Mackinac in April of this year, questioning the timeline and whether inspection of damage to the pipeline was a high enough priority. He also pressed federal officials on their ability to contain an oil spill in the Straits, asking how fast spill cleanup equipment could get to the Straits in an emergency (Rear Admiral Joanna Nunan of the U.S. Coast Guard said 12 hours at the longest). Peters was highly critical of Enbridge throughout, citing a trust deficit stemming from past incidents (like the Kalamazoo oil spill in 2010). He spent a lot of time questioning Enbridge's actions during an April storm with high waves shortly after this year's anchor strike, when he says the company was reluctant to suspend operations, only relenting after multiple requests. "Can you see why that is something that people look at and say, Enbridge is not really focused on going the extra measure of safety, when they had a damaged pipe and severe weather and they pushed back on shutting down to make sure nothing happened?" Peters' questions also covered the condition of the pipeline, whether or not Michigan really needs and/or benefits from it, and the logistics of a possible decommission. Carol Burns lives part-time near Frankfort, Michigan. She said she admired Senator Peters for calling the hearing, but echoed the sentiment of many who think it's long past time for hearings. "There's just a lot of complexity, a lot of talk," she said. "The reality is simply, shut the pipeline down." 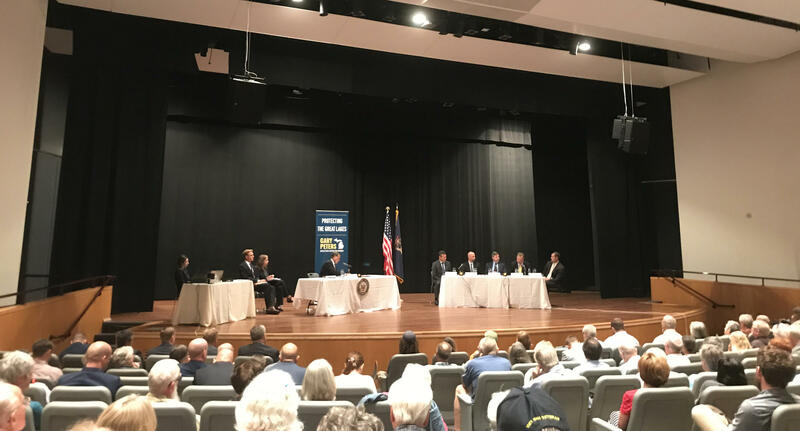 Desmond Berry, Natural Resources Director for the Grand Traverse Bay Band of Ottawa and Chippewa Indians, said he'd have liked to have seen a panelist representing Michigan Tribes, but was generally happy with Peters' questioning. He was, however, pretty unmoved by anything he heard from Enbridge. "A lot of the arguments we've already heard, and we've heard them numerous times." 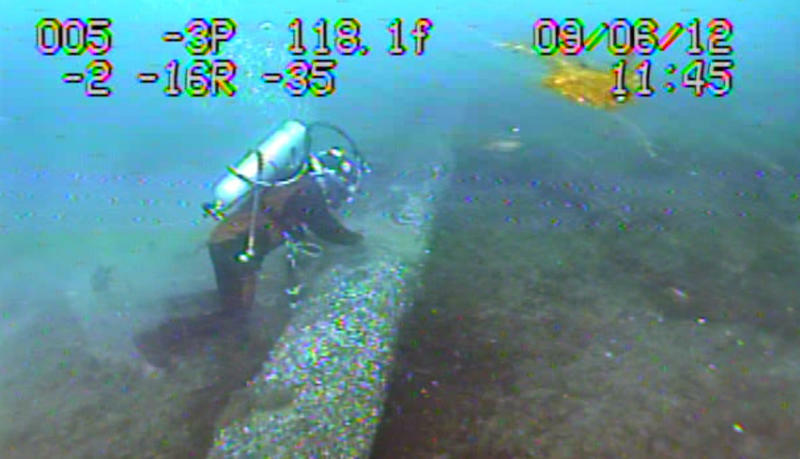 Enbridge did present something new: they said at one point during the hearing that they would release video and images showing damage to Line 5 from the anchor strike in April, although no details on when or how were given. "Pipeline safety and emergency response preparedness, as it relates to the Great Lakes is important for the people and businesses of Michigan, and is a critical priority for Enbridge. We welcome discussions about the best way to protect the Great Lakes while safely delivering much-needed energy on which Michigan families and businesses rely each day. The Straits of Mackinac is a special place, vital to Michigan residents and the State’s economy, and we fully intend to do our part to keep it that way." You can watch video of the full hearing on the Senate Commerce Committee website.